READY TO CHANGE YOUR WORLD IN 60 DAYS? To enlarge the video, click the play button, then click “full screen” in the bottom-right corner. Open/Click/Print – whatever you want to do to display the image below – and look at it while you watch the video here. RISK WARNING: The 50-50-60 Program is a CHALLENGE, not a guarantee. All money invested is at risk. Do not invest money you cannot afford to lose. If an investment places a financial burden on you, then it is inappropriate and should not be made. With IML’s membership, you can use a demo account (fake money, so no real money is risked) to test the system and learn how to trade. We encourage EVERYONE to use the demo account prior to doing any live trading. 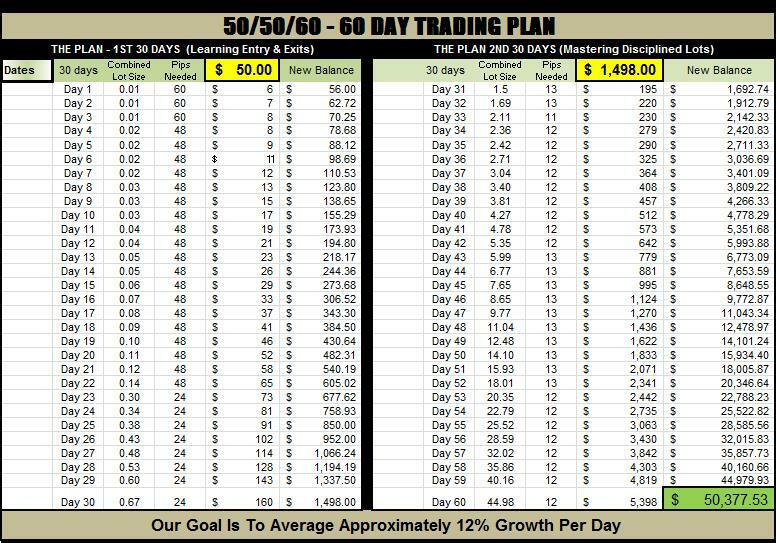 With a demo account, you can simulate this 50-50-60 Program and see how it goes for 60 days – if it works, then do it again with real money! If you’ve already checked out IML by watching some of our latest videos, then you know there’s significant money in this trading system, and anyone can access it. Having a daily step-by-step plan to follow was the last piece of the puzzle that we needed to make it happen. Everyone will benefit from this plan, because it’s so simple, straightforward, and lucrative. People just have to follow the system. We love systems and we love duplication! Watch the video above and you’ll see how super-simple this is! If you’re like us, you’ll want to share it with 100 people TODAY! You can insert a different dollar amount as your starting balance and all of the calculations will update, with the exception of your lot sizes on day 1 and day 31: you’ll need to manually insert your lot size for those days. 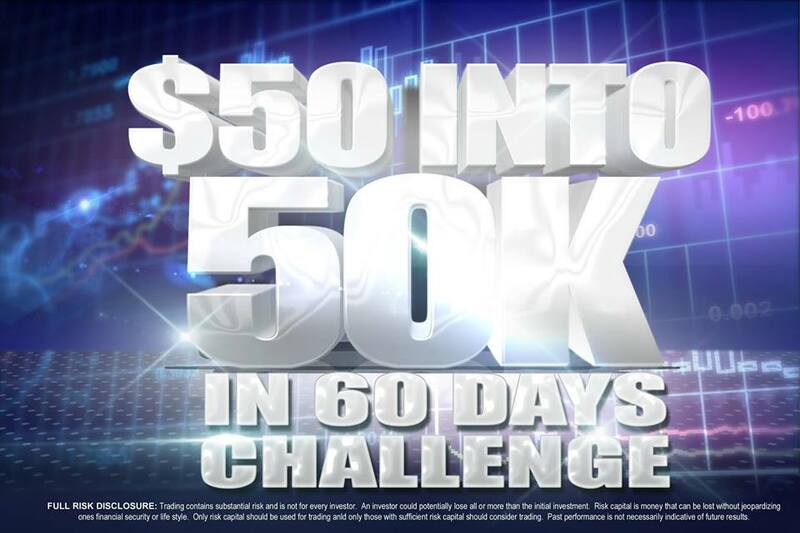 You can change the initial amount from $50, to $100, to $1000 – whatever you want to start with – and all the numbers on the sheet will then change: $100 ends in $100K, $500 ends in $500K, and $1000 ends in $1M. And it’s still a 60-day timeframe! There is a formula in the Lot Size and Pip calculations. This sheet does not show that it will round the numbers up. In those cases you can refer to the dollar amount needed for that day as your goal. The pip count is approximate. Download the image below and use it for text messaging or other sharing.